In one of the most bizarre ways a cryptocurrency exchange has ever failed to secure the funds of its users, Canadian exchange QuadrigaCX’s takes the cake. In a sworn affidavit filed with the Nova Scotia Supreme Court on January 31st, 2019, QuadrigaCX founder’s widow, Jennifer Robertson, stated that the exchange roughly owes its customers USD $190 million (or $250 million CAD). But why? Was there a hack? No. Did the exchange exit-scam? No. Well…then what happened? Well, get ready for this. QuadrigaCX founder, Gerald Cotten, passed away in December 2018, and it turns out, he had sole access to all $190 million in crypto held by its users. In Robertson’s affidavit, she noted that 30-year old Cotten, who had known complications from Crohn’s disease, held “sole responsibility for handling the funds and coins,” and that normal procedure was for Cotten to move the majority of funds to cold storage in order to protect against hacks and virtual theft. Furthermore, only a small amount of the $190 million was actually kept in hot wallets. 200,000 Litecoin (valued at over $6.5 million USD). The remaining balance of the $190 million owed is in fiat. Additionally, Robertson confirmed that she had no business records for QuadrigaCX. And, while she does have access to Cotten’s laptop, its unfortunately (or fortunately) encrypted, and without recovery key or password. Robertson has been working with a security consultant since to try and access the computer’s funds and contents, however nothing has worked as of date of publish. In hopes of paying out and reimbursing customers for lost funds, Robertson voiced that they were considering selling off the platform itself, as it’s estimated to have some sort of substantial value – however that value may ultimately decline should a major lawsuit commence. Understandably, QuadrigaCX’s users have not responded very well to the news, with some Reddit posters even going so far as to speculate that Cotten faked his death in India as part of a calculated and elaborate exit scam. This all comes in the wake of months and months of withdrawals issues for the Canadian exchange, which has limited large withdrawals for roughly the past 4 months (anything over 20k). One Reddit users even noted that there were “continuous small amounts of Ether sent to one address,” which now holds over USD $100,000 in Ether at this address – https://etherscan.io/address/0xb6aac3b56ff818496b747ea57fcbe42a9aae6218. Others noted that it could possibly be the address of their hot wallet. 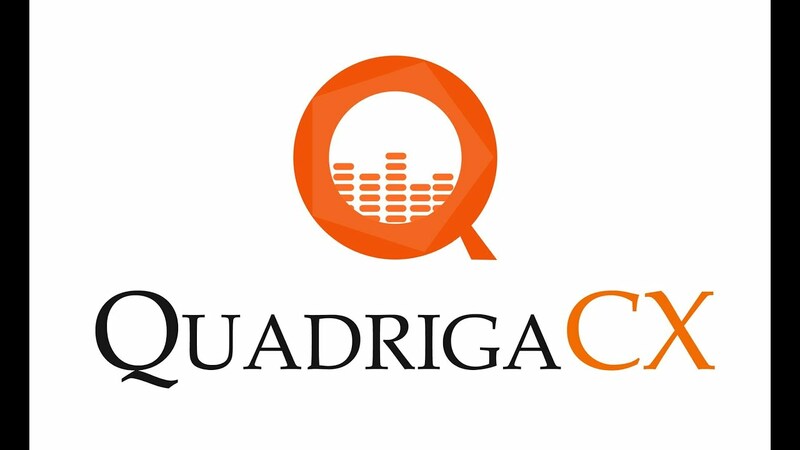 You can find QuadrigaCX’s official statement on the matter here –https://www.quadrigacx.com/gerald-cotten and find subsequent (and not guaranteed) updates on their homepage. Once again, we cannot emphasize enough that “not your keys, not your crypto,” so make sure to consider using a hardware wallet to store your Bitcoin and other cryptocurrencies, and never leave more on an exchange than you are comfortable losing. 2019 has already started off rough for crypto HODL’ers with the recent Cryptopia hack and now this, so make sure to stay vigilant and proactive towards securing your funds. ← Binance Announces Debit & Credit Card Purchases Now Available!